Is $1,900 Nvidia 2080 Ti Graphics Card Actually Worth It? Nvidia wants you to spend about the same as an entirely new computer on its latest top-of-the-line graphics card, the GTX 2080 Ti. 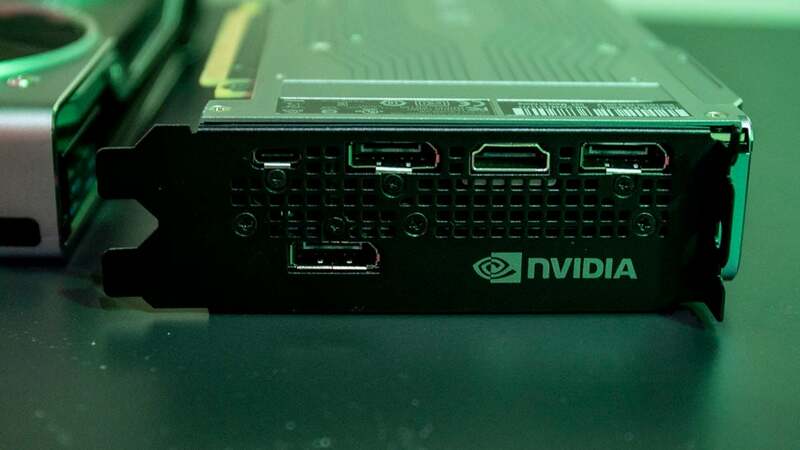 You could get a great laptop or a very solid desktop for the same price Nvidia’s new card commands. You could get a couple of PS4 Pros or Xbox Ones! You could get an iPhone X or a Samsung Note 9. Point is you could spend your $1,899 on a lot of different gadgets that do more than a graphics card—so how on earth can it be worth it? Nvidia’s last generation, the 10-series, came out about two years ago and is still available today, and its still plenty fast for most games. I say games and not things because unless you’re mining crypto you’re probably only in the market for an expensive graphics card so you can play games on your expensive computer. 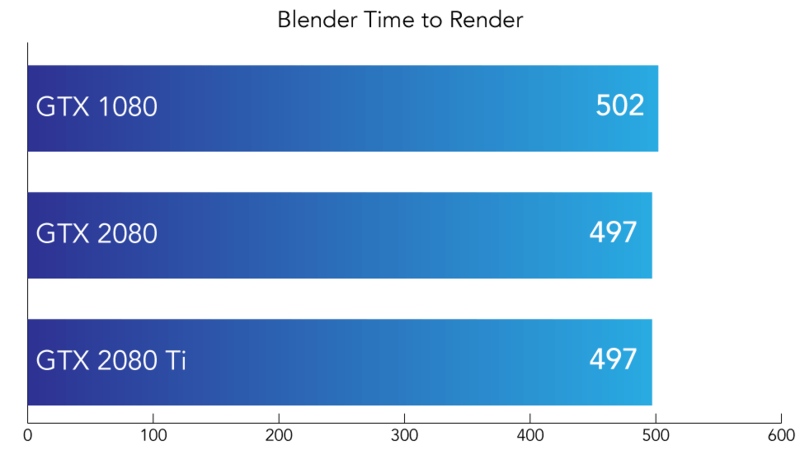 You don’t really need a pricey GPU for working in Photoshop or editing a film. 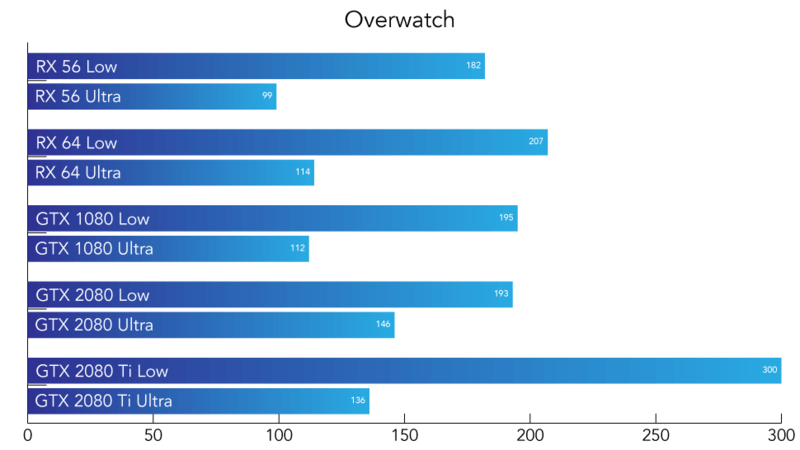 GPUs are good at one thing—rendering 3D graphics, and most of us only need to render 3D graphics when we’re playing games. Editor's Note: The Non-Founders Edition of the 2080 and 2080 Ti aren't available yet, so there isn't Australian pricing for them yet. When they are referred to in this review we will revert to U.S. pricing. But the point is the GTX 1080 Ti and 1080 are really solid GPUs that are comparable to AMD’s Radeon RX Vega 64 and 56 respectively. And the 1080 Ti costs about the same as the new 2080. So why spend $700 more on the 2080 Ti? After putting the $1,899 2080 Ti and $1,199 2080 through our standard battery of tests, and playing a lot of games on both a big 4K TV and a smaller 1440p monitor I don’t think it’s actually worth it—for now. The 2080 Ti is an exceptional piece of hardware, and it is undoubtedly the future of GPUs, but it’s so cutting edge you can’t even do the coolest stuff it’s capable of yet on your computer. No this GPU isn’t going to be powering Hal 9000 or any other murder bot. 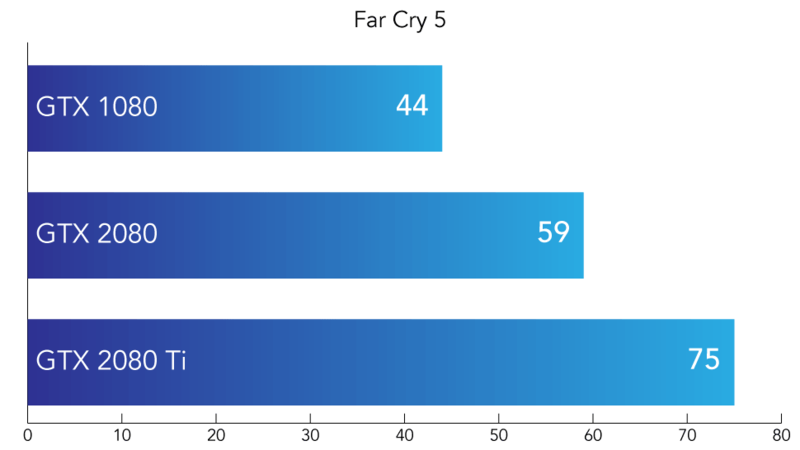 Instead the AI is used, in these cards intended for consumers at least, to better predict the behaviour of in-game elements. Specifically. the Turing architecture allows for Nvidia’s newest GPUs to perform ray tracing in real time—the “Holy Grail” for gaming GPUs. If you don’t know what that is that’s ok — outside of special effects houses and GPU enthusiast forums ray tracing isn’t a commonly known thing. But it is very cool. Ray tracing is a kind of rendering in which each individual virtual ray of light in a computer generated environment is traced from its source to objects it can reflect on. But ray tracing also means those rays can be blocked by a figure who moves in front of them, or distorted as they passes through translucent objects. 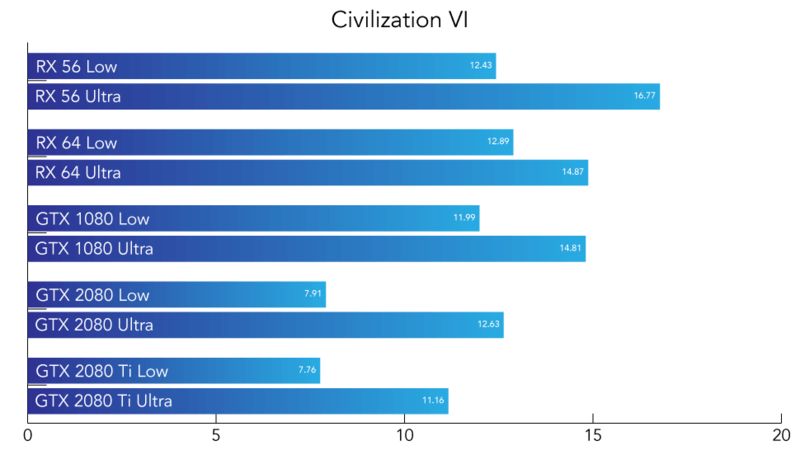 This means objects in a computer generated environment—like a video game—will reflect light more as they would in the natural world. 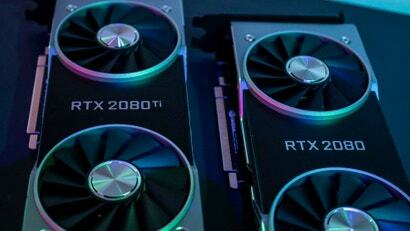 Unfortunately, Nvidia’s 20-series of GPUs are incapable of ray tracing for at least another month. While the chips might have the power to do it (more on that in a moment) they don’t have the software support from Windows 10. Ray tracing in Windows 10 requires DirectX Ray Tracing and Windows ML which won’t arrive until the anticipated Windows 10 October 2018 Update next month. 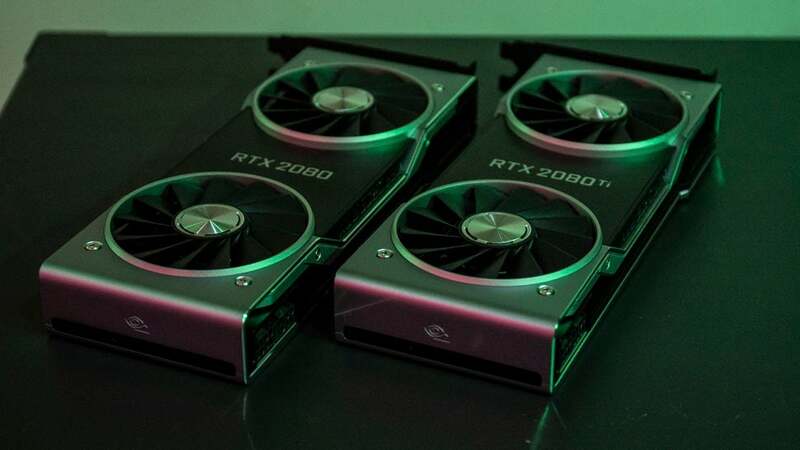 So for the next couple of weeks these big beastly GPUs can’t do the task they’re designed for, and even after the update there will only be a handful of games available that support ray tracing. Nvidia has noted only 11 supported so far, though it says more are coming. 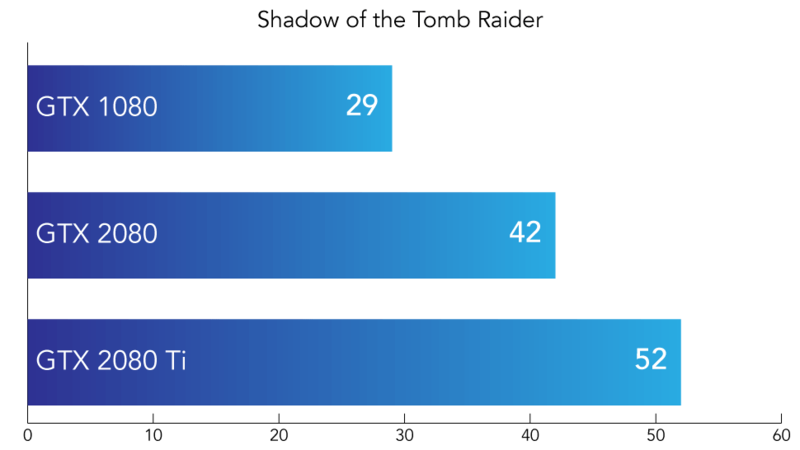 Nvidia’s last major line of GPUs, the 10-series, just couldn’t cut it, but as evidenced in the benchmarks above, the 20-series has zero problem pulling 60-plus frames per second in new video games like Far Cry 5 or Shadow of the Tomb Raider. 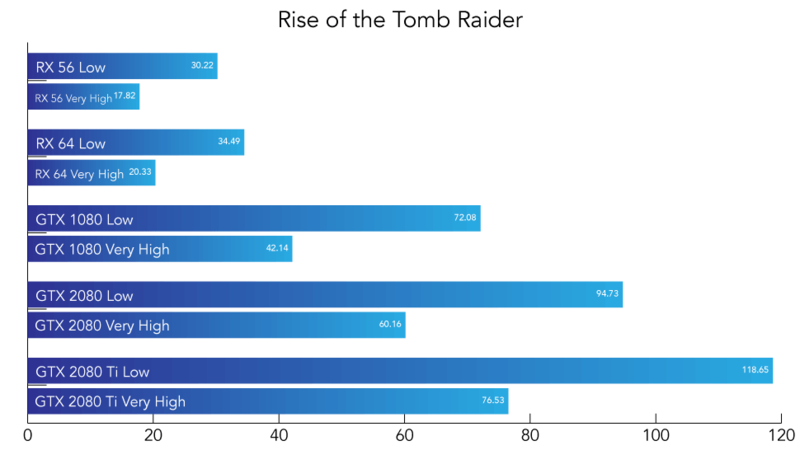 It also does just fine in older games like Rise of the Tomb Raider, and it handily gives you more frames than you’d know what to do with in less demanding games live Civilisation VI and Overwatch. But I don’t know if I can actually recommend the 2080 or the 2080 Ti right now. Especially for their prices. Sure — no machine, not even a dedicated 4K console like the PS4 Pro or Xbox One X, can match the 2080 and 2080 Ti for performance. This thing smokes its predecessors and the devices available from AMD at the moment. The 2080 Ti is fast and impressive, it’s just not US$1000 impressive. The 2080, which starts at $US600, is more impressive from a price to performance ratio, and if you’re upgrading an PC with a newer GPU inside, then it’s not that much more costly than the much slower MD Radeon RX Vega 64 or a PS4 Pro. 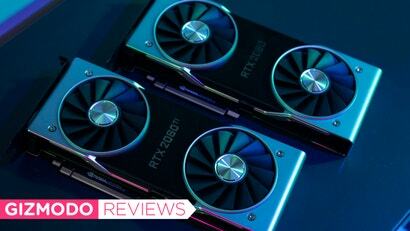 But it couldn’t hurt to wait, and I’d be bad at my job if I didn’t say that this review isn’t quite complete yet, and won’t be until ray tracing support is added to Windows and we can see how each GPU actually handles the effect. 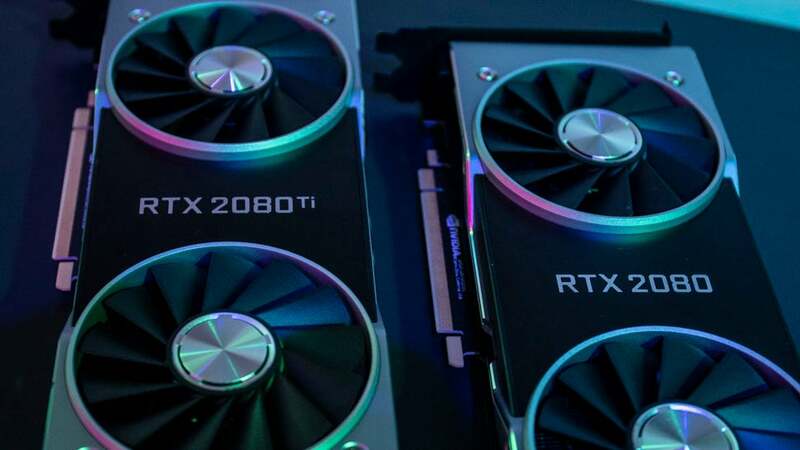 While the 2080 and 2080 Ti might be incredibly powerful GPUs they’re not quite worth it... yet. They’re also hot (like warm), and the 2080 Ti costs $700 more than both the 2080 and the 1080 Ti.